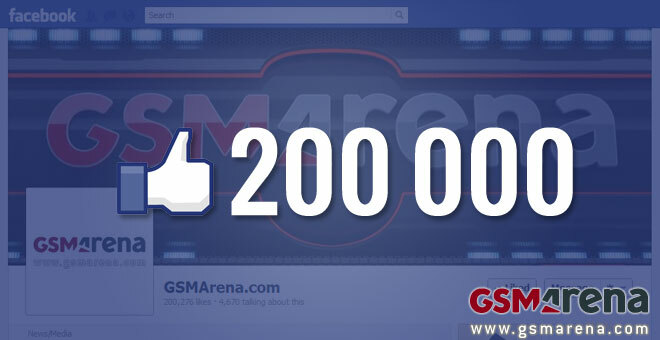 Today, marks an important milestone for our team and our Facebook page in particular. The likes counter over there just went past the 200,000 mark, exactly nine months after we reached 100,000 likes. We are really pleased that 200,000 of you have expressed their support for us and our work, but what makes us even happier is that this is only part of the story. Thanks to you, our faithful readers, now our servers are serving close to 7 million pages per day and according to the independent internet statistic company Alexa, we’re the 441st most popular site in the world, regardless of genre. It’s moments like this that really make us proud of what we do. We’d like you know that it’s only going to motivate us to work even harder, bringing you more detailed reviews, more timely news coverages and hopefully, more interesting blog posts. Our goal is to keep you up to date with the mobile industry and to help you choose your mobile gear, so we hope that today’s milestone is an indication we are on the right way. Here’s hoping that the best is yet to come though, and there will be more and more reasons for you to come back to our homepage time and again in the future!